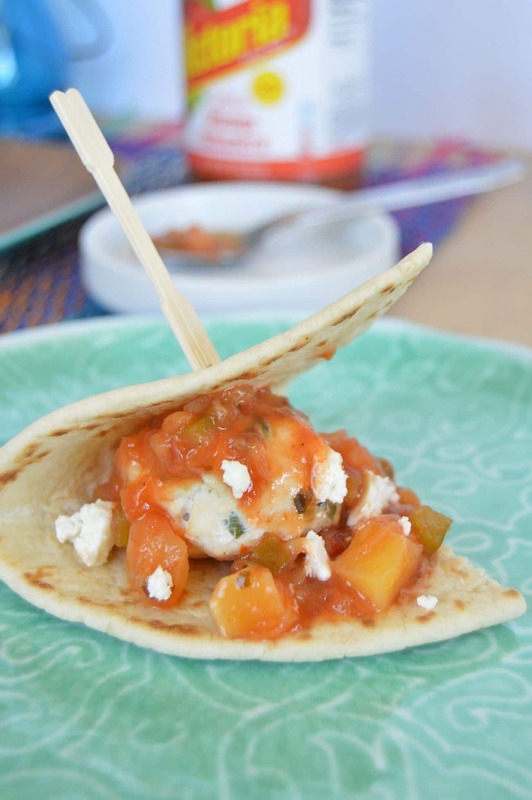 Today’s recipe for Tropical Turkey Meatballs was created for using La Victoria’s Mango Habanero Salsa. 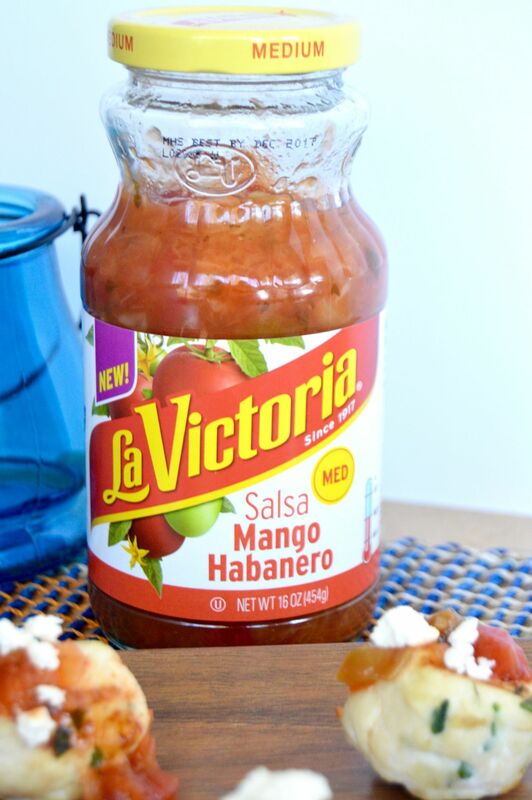 Many thanks to La Victoria for providing this product for me to try, I was so surprised how perfect it was for an easy summer meal that was both delicious and quick to make up! This post is sponsored by La Victoria, but my love for their Mango Habanero Salsa and the recipe and opinions here are ALL mine! Oh, and yes, its a healthy appetizer too which is always a bonus! La Victoria has been around for such a long time and I’ve used their products often. I love this Mango Habanero flavor of salsa because it reminds me of a tropical vacation. It must be the Mango in it! The salsa has real mango pieces mixed in and the slight heat from the habanero chiles adds a lovely depth of flavor. The recipe for Tropical Turkey meatballs is a variation on my regular Meatballs here. Im trying to eat a little healthier so I wanted to try turkey instead of beef and pork. 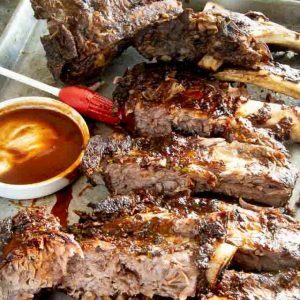 I also left out wrapping them in bacon since I had the perfect sauce for them with the La Victoria Mango Habanero Salsa. I was worried about not having pork in the meatballs because pork(and the pork fat) naturally give a juicy meatball. So I used a little of the Mango Habanero salsa in the meatball as well as as the sauce for the top! I think you’ll find the mango pieces and the salsa give it just the right amount of juiciness and you won’t miss the added pork fat at all! The Sweet and Heat combination was a real crowdpleaser at our house! There was not one meatball left at the end! 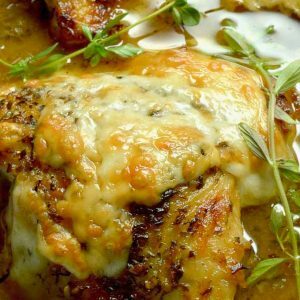 RECIPE POINTS OF INTEREST FOR TROPICAL TURKEY MEATBALLS! EASY/HARD: easy… the only thing to be careful of when making them is not to overmix and pack them to tightly. By using a gentle hand, you will get a light and moist meatball! Cocktail Suggestion: Since these remind me of a tropical island I suggest a Mai Tai or an Icy Rum Slush! A Pinot Grigio would also work for wine to go along with it! OPTIONS: I served this as a snack when we had people over after attending a friends baseball game. For the people that needed a little more than just meatballs (the boys who had played the game) I served them both with flat breads wrapping them around like a taco and alone with a toothpick! Using a wooden spoon or your hands in a large bowl mix together ground turkey, heavy cream, beaten egg, salt, oregano, panko bread crumbs and 1/4 cup Mango Habanero Salsa. Do not pack the meat too tightly, you want to use a lighter touch so that the meatball does not get too compacted allowing for a lighter moist (versus heavy, hard) final product meatball. Form the meat into balls, slightly bigger than a golf ball. Chill for a minimum of 15 minutes to set the shape. If you are making ahead to use the next day or later in the day, you can make the meatballs to here. The meatballs in the raw state will need to be covered with plastic or foil if you are waiting longer than an hour to bake them. Heat a saute Pan to high. Place meatballs in the pan and cook until meat is no longer pink. About 20 minutes. Rotate often to brown all sides. 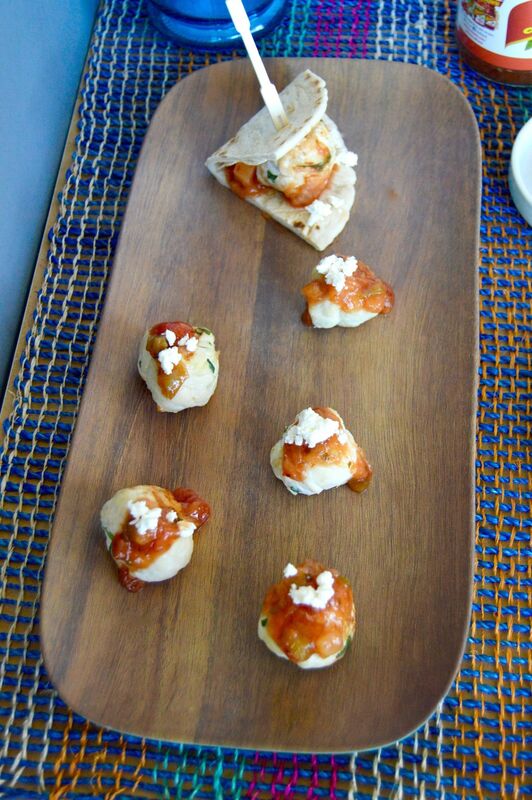 Place Meatballs on a serving plate and place a dollop of Mango Habanero Salsa on top. Crumble feta over top for added flavor boost. Serve along side flat bread pieces for those who wish to make a turkey taco. Gotta say…. made this in a hamburger patty instead… loved the burger love the salsa! Thanks! So different than a normal turkey meal! Great timing! I was actually on the look out for more meatball recipes! I love making a ton for mini appetizers during the week. These look really good. My hubby really likes sweet and spicy, Ill have to give these a try! I can’t wait to try these! I think they will be a perfect addition to our tailgates this fall! Looks like I am a tropical turkey meatball fan after reading your post. They look delicious! I’ve never met a meatball I didn’t like! 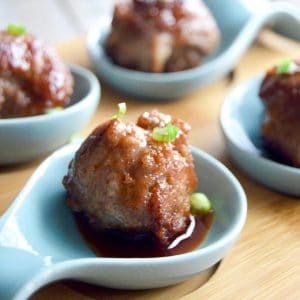 These turkey meatballs with the sweet and spicy kick sound fantastic! Such an interesting little meatball. I bet the mango is a nice compliment to the turkey. . .and the habanero gives it the kick that I look for in all my main dishes. These look absolutely delicious! I love the sweet and spicy combo, and the salsa sounds super yummy! I can’t wait to try these. All I’ll need to do is substitute the bread crumbs for gluten-free bread crumbs and I’ll all set to try these Delicious looking bites. Yum! 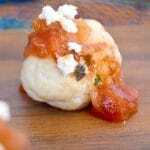 I love the idea of the sweet and spicy salsa with the meatball! Plus I am always up for a simple appetizer! 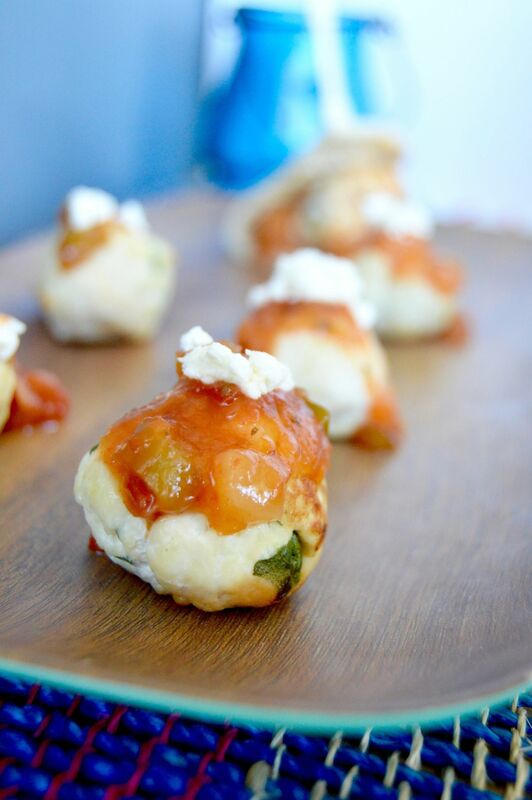 These sound so refreshing…didn’t think I could use that word to describe a meatball, but seriously! 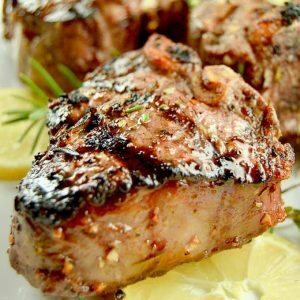 What a perfect summertime dish! Thanks so much for sharing…can’t wait to make them! This would be great for a party appetizer. Yum! The meatballs sound gorgeous and I think that mango habanero salsa must really give them some zing! Lovely dish! I’ll admit I was a little apprehensive when I first saw the name of this recipe – TROPICAL turkey meatballs?! But I’m a huge fan of turkey mince and actually, with the habanero I think this is great!